Within this page you can find all the information about the conference location, accomodation and public transportation and the directions to reach the conference place. The event will be held in the nice city of Milan, which offers its visitors a beautiful historical environment. 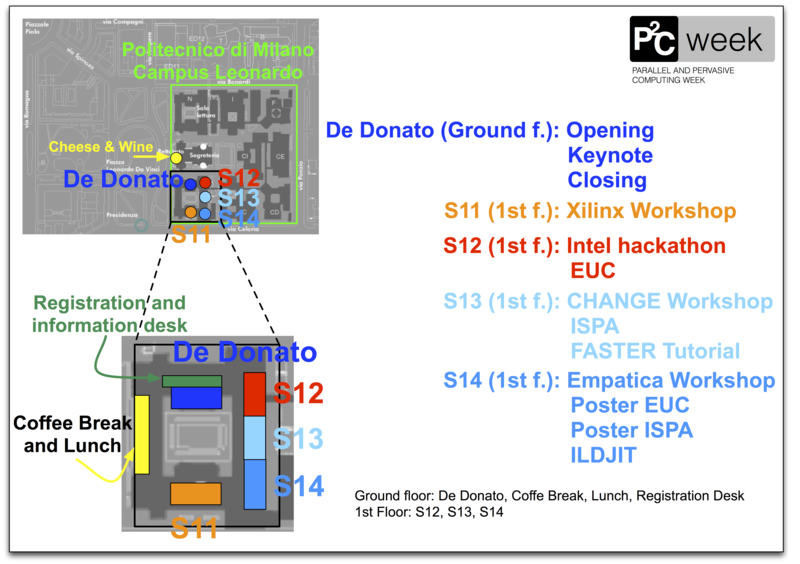 The conference location will be the Politecnico di Milano university. The Politecnico di Milano was established in 1863 by a group of scholars and entrepreneurs belonging to prominent Milanese families. Today, the Institution is ranked as one of the most outstanding European universities in Engineering, Architecture and Industrial Design, and in many disciplines is regarded as a leading research institution worldwide. Politecnico di Milano is composed of different campus spead over the north of Italy. The conference will be held in the rooms of the Institution, located in the heart of "Città Studi" (city of the universities), as shown in the map below. The conference will not provice any printing service. We can suggest you two locations to print out your posters. Please consider you have to manage the printing by yourself; we are not involved as conference organizers with the following contacts. We recommend the following hotels. It is a 10-15 min. trip from Linate airport and from Central Station. It takes about 1 hour from Malpensa airport. Approximate costs: about 20 Euro from Linate, 85 Euro from Malpensa, about 20 Euro from Central Station. Take bus No. 73 toward "San Babila" for 8 stops (hop off at "V.le Campania V.le Corsica"). Then take bus No. 93 toward "Isonzo - Lotto" for 6 stops (hop off at "V.le Romagna-P.le Piola"). Walk for about 300 meters toward Piazza Leonardo da Vinci. Take the Malpensa Express train into Milano, Stazione Nord (prices and timetables at www.malpensaexpress.it). Once there, take subway line 2 (green line) and follow the above indications. The approximate time to reach the conference location is 1 hour and a half. As another option, there is a bus service from the airport to Central Station (train station): this second trip takes usually longer. Take subway line 2 (green line) toward Piola (Cologno/Gobba/Gessate direction). Once you are outside, follow the indications toward Politecnico. The information about the WiFi network can be found here [link].